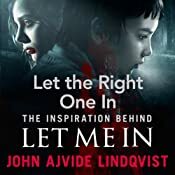 Steven Pacey has read two of John Ajvide Lindqvist‘s novels onto unabridged audiobook. 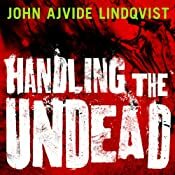 John Ajvide Lindqvist is a Swedish author, born in 1968, who grew up in Blackeberg, a suburb of Stockholm. He came in second in the Nordic card trick championship, before working as a stand-up comedian for twelve years. His four novels, Let the Right One In, Handling the Undead, Harbour and Little Star have been translated into English. Oskar and Eli. In very different ways, they were both victims. Which is why, against the odds, they became friends – and how they came to depend on one another for life itself. Oskar is a 12-year-old boy living with his mother on a dreary housing estate at the city’s edge. He dreams about his absentee father, gets bullied at school, and wets himself when he’s frightened. Eli is the young girl who’s moved in next door. She doesn’t go to school and never leaves the flat by day. She is a 200-year-old vampire, forever frozen in childhood, and condemned to live on a diet of fresh blood. Something very peculiar is happening in Stockholm. There’s a heat wave on and people cannot turn their lights out or switch their appliances off. Then the terrible news breaks. In the city morgue, the dead are waking up…. Handling the Undead is a story about our greatest fear and about a love that defies death.